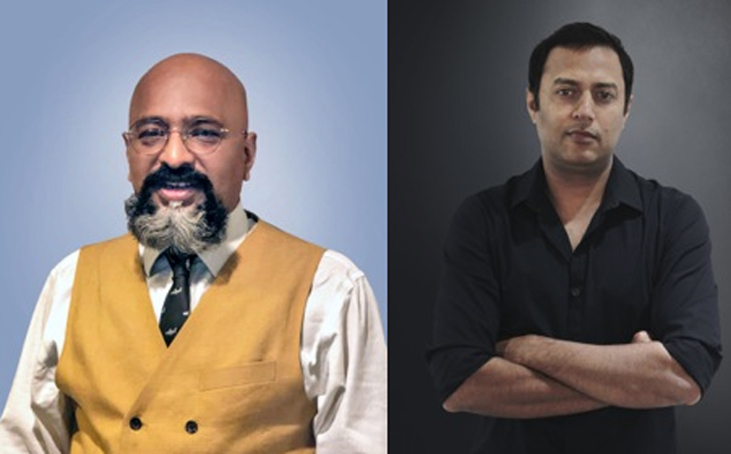 In a bid to strengthen its global creative agency mcgarrybowen’s India footprint, Dentsu Aegis Network has elevated Samarjit Choudhry to the role of President – Happy mcgarrybowen India. In addition to this, DAN has also promoted Soumitra Karnik with the additional charge as Chief Creative Officer. Choudhry (pictured left) joined the Network in 2017 as COO – Happy mcgarrybowen India. Armed with more than 20 years of experience, he has worked with agencies such as Ogilvy and Leo Burnett. At Leo Burnett, he was the Chief Growth officer for the Group and was also instrumental in setting up Orchard and Black Pencil for them. In addition, he has also worked to create India’s premier comic book content company, Virgin Comics. Karnik (pictured right) joined the network in 2012. Prior to that, he was an ECD at JWT. In over 11 years spent there, he worked on a variety of clients including Pepsi, Airtel, Nestle and Hero Honda. Karnik has also worked at Lowe and Percept. Amongst his notable campaigns are the Pepsi Yeh Hai Youngistaan Meri Jaan, Slice Aamsutra, Yaari Ki Gaadi for Hero Honda Splendour NXG, and the What Makes Us Click Campaign for Canon, to name a few.